A techno-horror thriller in which a small band of misfits must counteract a full-scale digital demon possession of a near-future Portland. Percy’s premise is disturbing enough, but add to it a masterful crafting of scary scenes strewn with gruesome details, a tough 12-year-old blind girl with a 'retinal prosthesis' able to manipulate the matrix, and a subtext exploring the effects of a world becoming enslaved to its technologies and you have a horror story for our times ... The narrative’s pace stalls at times from too much exposition about supernatural theories and occultists like Aleister Crowley, and about aspects of technology easily inferred from context. And Percy’s penchant for poetic prose — usually a strength of his style — was distracting here. But The Dark Net is still a frightening novel. ...a timely and wildly imaginative techno-thriller about the evil that lurks in real and virtual spaces ... It’s really cool how Mr. Percy draws parallels between faith and technology for this story. I also enjoyed how good and evil weren’t ever limited to a singular belief system ... 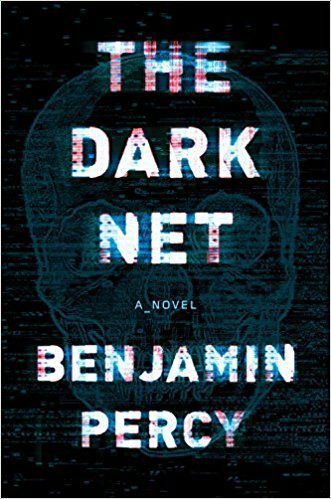 The Dark Net is a horror-filled examination of the world around us, of what is real and what isn’t, of what’s worth believing in and what terrors lie in the unseen. Despite being a book strongly influenced by cyberpunk, it also reads like an homage to the demon-filled horror novels of the 1970s and ’80s. It’s a great read for anyone who enjoys that rich vein of thriller writing coupled with enough ideas to make for a thoroughly modern telling. Dark Net can get gruesome, and the body count is high, but Percy keeps it suspenseful and compelling from the first page. The authentic Portland, Oregon, setting with a pivotal scene in Powell’s Bookstore is also a draw. Think twice before accessing this on an e-reader, unless you think can handle the extra layer of terror. What did you think of The Dark Net?